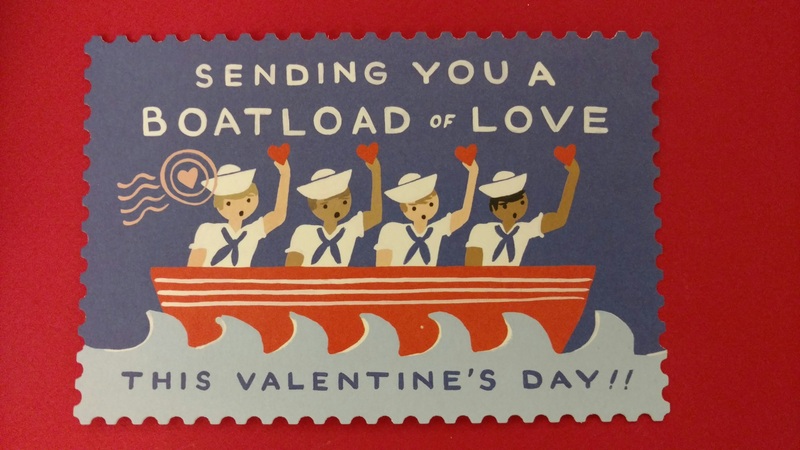 Postcard by Rifle Paper Co. Whether you’re spending the day snuggling with your love, hanging out with your squad or pampering yourself, there’s a Valentine’s Day drink for you. Place one wild hibiscus flower in a glass. Add two teaspoons of hibiscus syrup. 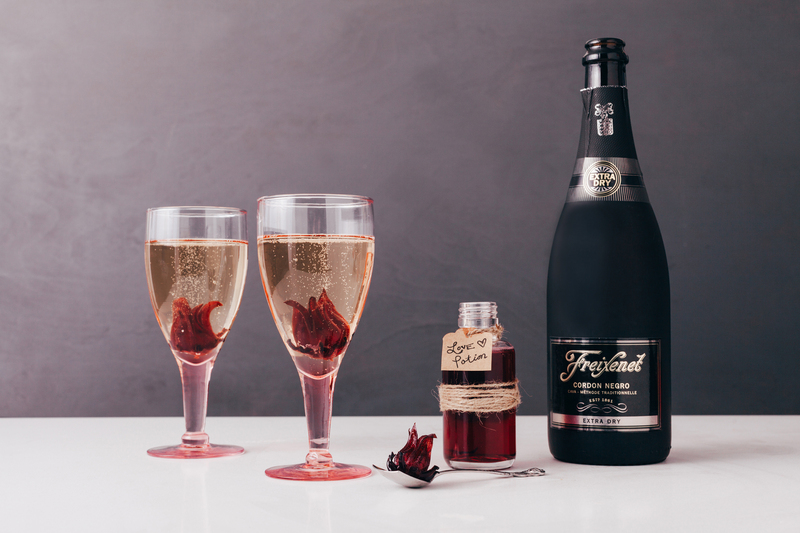 Pour chilled Freixenet over the flower. Fill to the top of the glass. Allow the flower to bloom & enjoy! Combine ingredients in a cocktail shaker with ice. Shake and strain into coup glass. 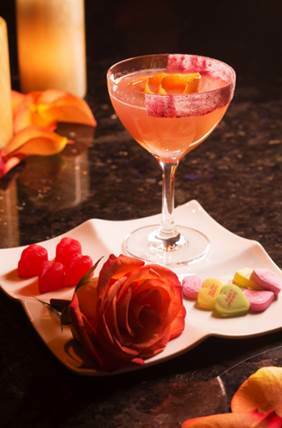 If you can get to STK LA for V-Day, order their Make Me Melt cocktail. 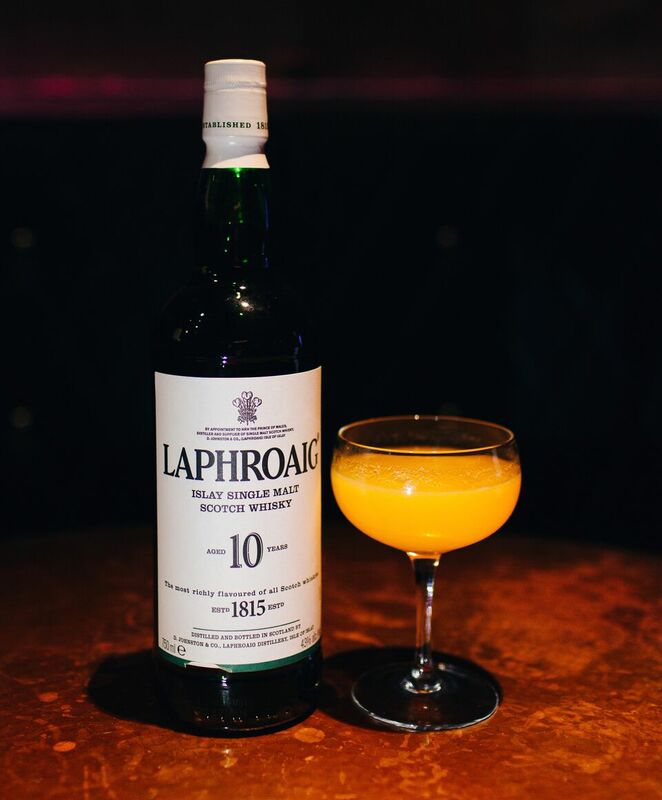 For those who can’t, this is a straightforward drink to make for yourself, and your honey, at home. 1 whole strawberry In a mixing glass, muddle 1 whole strawberry. Add raspberry and orange vodka and shake vigorously. Strain over fresh ice in a rocks glass and add Sprite. Top with Chambord and garnish with an orange peel. Pour ingredients into a cocktail shaker filled with ice. Shake and strain over fresh ice into a rocks glass. 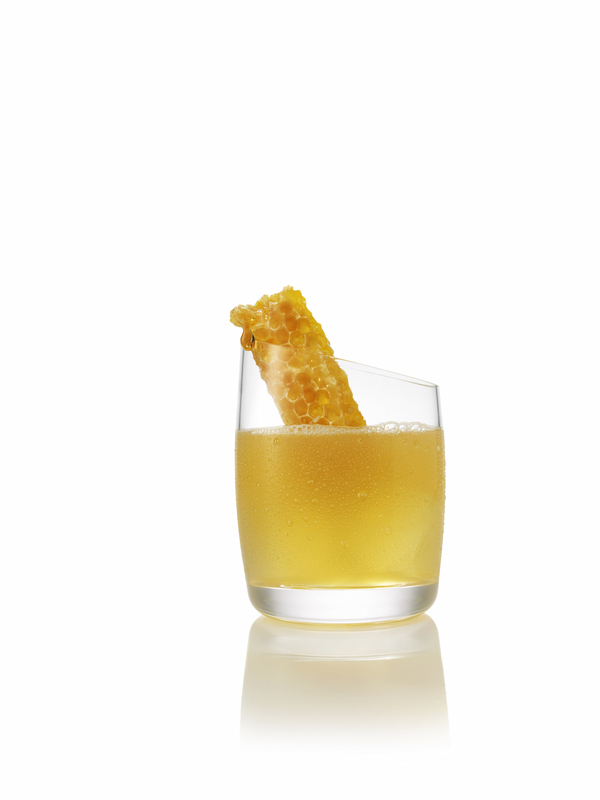 Garnish with a honeycomb.